KIPS BAY, Manhattan (WABC) -- There is a warning from parents about poisonous berries found in New York City playgrounds. The parents say their daughter, Joy, found 'yew berries' in the water fountain at a playground in Kips Bay, and swallowed one. 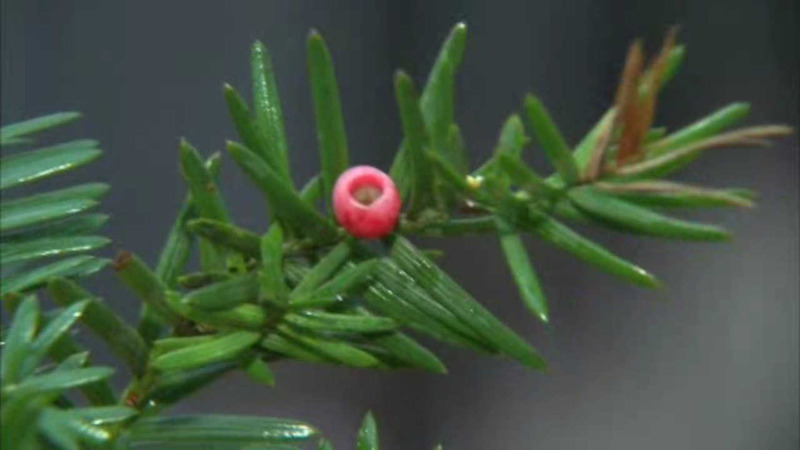 It turns out, the flesh of yew berries are safe, but the seeds can be deadly. Joy spent hours in the hospital, but she was okay. "What we want to have happen is to have the plants removed, so that this doesn't happen to any other kid," said Ryan Vernon. "In the playground, we make assumptions these plants are safe, because they're surrounding places where children play," adds Natalie Gruppuso. The Parks Department said this is the first incident of this kind in memory.